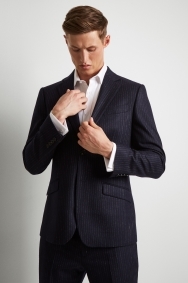 Take the easy route to looking well-dressed. 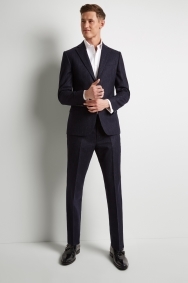 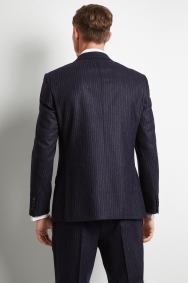 This Hardy Amies tailored fit jacket epitomises confidence. 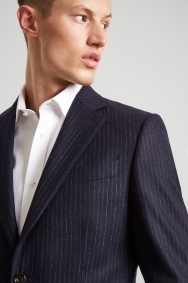 With its modern take on classic stripes, it’ll become a key fixture in your smart wardrobe. 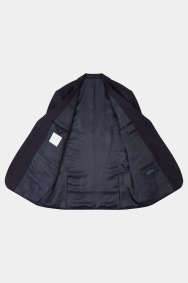 The rich navy backdrop makes it easy to pair with a range of shirts, whilst the luxe brushed Italian wool ensures a lightweight and comfortable fit. 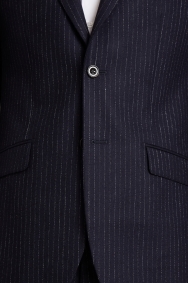 Pair this jacket with the matching trousers and an open-necked white shirt for the full effect.